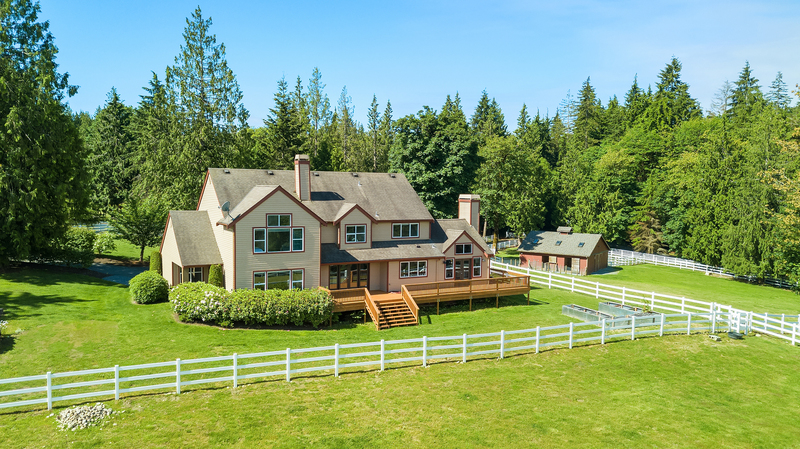 Mountain and valley vistas, lush rolling pastures, a quintessential gentleman’s farm in a unique gated community of 4 acreage properties. 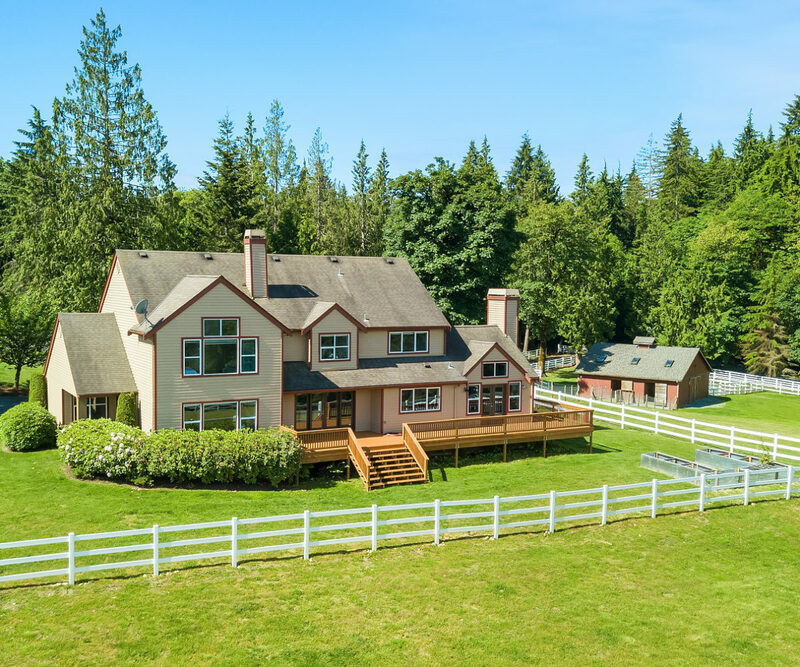 Six stall barn, attached paddocks with hoof grid system and pastures, private trails. 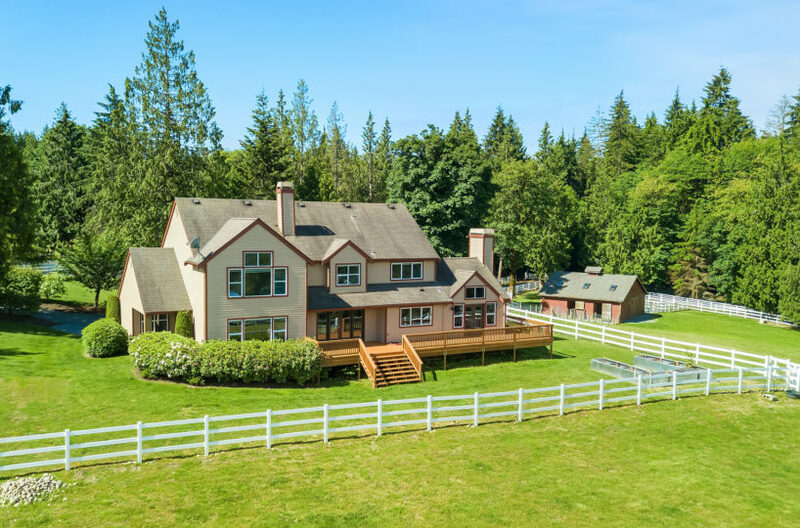 3800+ SF custom home with refinished hardwoods, new interior paint, carpet, sun drenched interiors with wonderful views. Den and Bonus rooms, Wonderful Great Room kitchen with fireplace + double sided fireplace in Living and Dining rooms. Oversized master with 5 piece bathroom and walk-in closet. 1100 SF of new wrap-around decking. Close proximity to Eastside & Seattle.